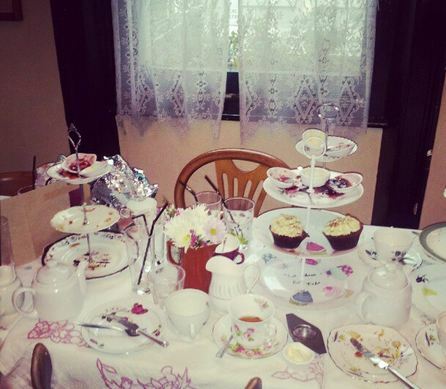 Here at FoodTeaLife I don’t venture outside of Hampshire too often, but when my good friend Ellie invited me to her birthday celebrations at Soho’s Secret Tea Room I thought it might just be worth the train fare. 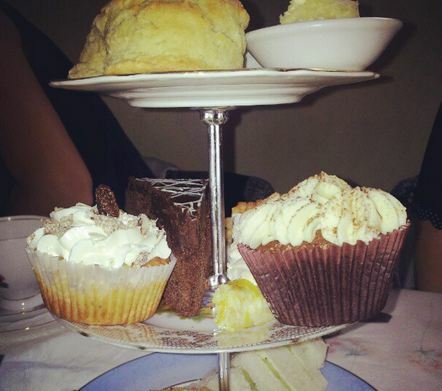 And indeed it was, we enjoyed a fabulous feast of cakes, scones, cucumber sandwiches and course tea. More delightful cakes and scones! It was an absolutely delightful experience and well worth the trip for non-Londoners. 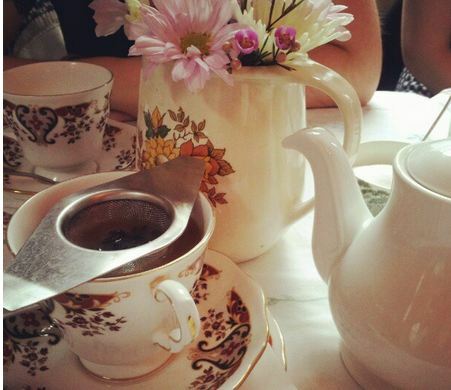 Full of vintage details from the gramophone playing 1940s jazz to the adorable tea cups and cake stands, you feel as though you’ve stepped back into a simpler, happier time. I’d advise donning your best vintage attire for a visit so that you get the full escapist experience. On to the teas…There was a nice selection of loose leaf teas to choose from but not so many that it was daunting, I quickly picked out a lovely sounding Lapsang blend and enjoyed it very much. It was especially nice to drink from a china cup too (I’m a subscriber to the theory that tea tastes better this way). Between our party of ten we shared five afternoon tea cake stands of delicious home baked goodies and though we tried our hardest we couldn’t quite finish it all! Luckily the lovely staff gave us paper take away bags to ensure we could all enjoy our cake later. 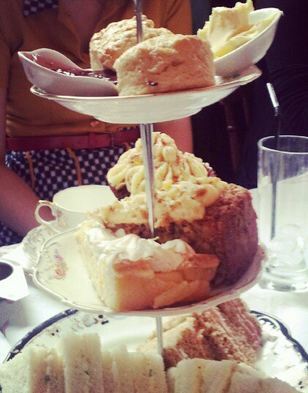 Aside from the loving the tea, I also thought the scones were perfectly done and good size (not too large!) too. And though I didn’t try it, the lemon meringue pie received very positive reviews from across the table too. All in all I can only really describe the entire outing as just lovely and pure delight. 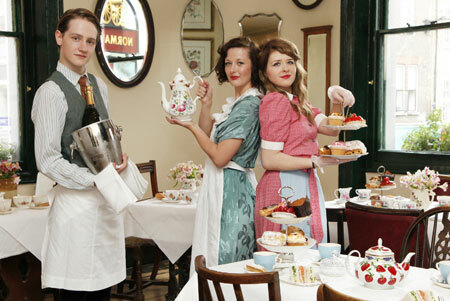 So Hampshire folk, next time you pay a visit to the West End be sure step into Soho’s Secret Tea Room for some relaxing refreshment and indulgent 1940s escapism.